Microsoft details the next few weeks' worth of Xbox Live Arcade, Deals of the Week, Avatar items, and Games on Demand, with twelve days of special holiday deals kicking off on December 18th. Microsoft generally isn't the habit of laying out several weeks worth of Xbox Live releases in one fell swoop, so we can assume that the company is going out of town for the holidays, and this is the note they are leaving on the really big fridge, containing all we need to know about the coming weeks. First off, today sees the addition of holiday gear and tokidoki wear on the Avatar Marketplace, with tons of new items to spend your discretionary Microsoft points on. Be sure to save some for Christmas Eve, however, when Disney Classics wear shows up, filling your friends list with pretty princesses. The Xbox Live Deal of the Week program continues throughout the month, starting with the Lips: Coldplay Track Pack (200 Microsoft points) next week, followed by Shadow Complex (800 points) and The Maw (400 points). The Games on Demand service expands by several titles this month, with Crackdown and Disney's Bolt already available, and Viva Piñata: Party Animals, Lost Planet Colonies Edition and Devil May Cry 4, and Gears of War coming over the next three weeks. Xbox Live Arcade gets two new additions over the course of the next two weeks, with Alien Breed Evolution Episode 1 dropping on the 16th (800 points) and the Trails HD Big Pack adding 35 new racing and skill tracks to the game on the 23rd. 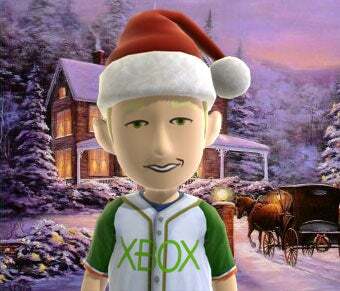 On top of all that, December 18th through the 31st, Microsoft will be holding one-day sales on select Xbox Live Marketplace items, including games, movies, add-ons, and themes, counting down to the New Year with savings, as is tradition. As for me, I'm driving to Florida to hang out with my girlfriend's mother and grandmother. Not really all that interesting, but since we were sharing.